A Chinese-American graduate student sentenced to 10 years in prison in Iran for allegedly “infiltrating” the country and sending confidential material abroad is innocent of all charges against him, his advising professor at Princeton University said yesterday. Xiyue Wang’s arrest, which authorities said happened nearly a year ago, only came to light a day earlier when Iran’s judiciary announced his sentence as well as the detention of President Hassan Rouhani’s brother in an unrelated case. Princeton said that it is “very distressed” by the charges leveled against Wang while he was carrying out scholarly research in the Islamic Republic. It has been working Wang’s family, the U.S. government, lawyers and others to secure his release, it added. “His family and the university are distressed at his continued imprisonment and are hopeful that he will be released after his case is heard by the appellate authorities in Tehran,” the university said. 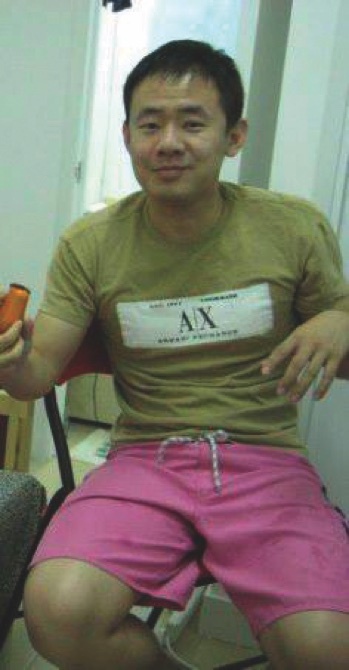 An article posted on Mizan Online, a website affiliated with the judiciary, said 37-year-old Wang was born in Beijing and entered Iran as a researcher who is fluent in Persian. It said he is a dual national of the United States and China. He has already filed an appeal to his sentence, according to the website. Wang was arrested on Aug. 8, 2016 and is accused of passing confidential information about Iran to the U.S. State Department, Princeton’s Sharmin and Bijan Mossavar-Rahmani Center for Iran and Persian Gulf Studies, the Harvard Kennedy School and the British Institute of Persian Studies, Mizan Online said. It alleged he recorded some 4,500 pages of digital documents, paid thousands of dollars to access archives he needed and sought access to confidential areas of Tehran libraries. Princeton University professor Stephen Kotkin, who has served as Wang’s doctoral adviser, defended him in an email to The Associated Press. In its statement, Princeton said Wang was arrested while conducting research on the 1794-1925 Qajar dynasty for his doctorate in late 19th and early 20th century Eurasian history. A photo of Wang on Princeton’s history department shows him posing under a plaque at the entrance of China’s official Xinhua News Agency’s bureau in Kabul, Afghanistan. A short bio on the Princeton in Asia website said Wang had been a fellow in Hong Kong in 2008-2009, had completed a bachelor’s degree in South Asian studies at the University of Washington and did Russian and Eurasian studies at Harvard. The U.S. State Department has not provided details on the case but called on Tehran to immediately release “all U.S. citizens unjustly detained in Iran.” The U.S. does not maintain formal diplomatic relations with Tehran and warns its citizens traveling there that they risk arrest or being barred from leaving Iran. “The Iranian regime continues to detain U.S. citizens and other foreigners on fabricated national-security related changes,” it said in a statement to the AP. Other Americans who remain in Iranian custody include Iranian-American art gallery manager Karan Vafadari, who was detained along with his Iranian wife last year. They have yet to be convicted of a crime. Another Iranian-American, Robin Shahini, was released on bail last year after staging a weeks- long hunger strike while serving an 18-year prison sentence for “collaboration with a hostile government.” He is believed to still be in Iran. Former FBI agent Robert Levinson, who vanished in Iran in 2007 while on an unauthorized CIA mission, remains unaccounted for. Also in an Iranian prison is Nizar Zakka, a U.S. permanent resident from Lebanon who advocates for internet freedom. He lives in Washington D.C. and has done work for the U.S. government. He was sentenced to 10 years behind bars last year after being accused of espionage-related charges. Wang’s sentence was announced the same day that authorities said they had detained President Rouhani’s brother, Hossein Fereidoun, on allegations of financial misconduct. Fereidoun is a close confidante of the moderate president, a cleric who changed his surname to Rouhani, meaning “spiritual,” after joining the seminary decades ago. Fereidoun was part of the Iran’s negotiating team during the final phases of its 2015 nuclear deal with world powers. He has long been a target of hard-liners, who have accused him of misdeeds, including money laundering and misappropriation of government funds. The semi-official Fars news agency reported that Fereidoun is being held on bail of about USD15 million.